Save big on every order. Skip or cancel at any time.. This product is part of our Made in The USA Showcase. IN STOCK WITH FREE SHIPPING! In stock with Free Ground Shipping in the USA. LOYALTY REWARDS SAVE YOU MONEY! Earn 15 points to spend on future purchases. Are you tired of using makeshift devices, pillows, nasal strips, oral devices, and sprays to try and stop your snoring? If so then simple, disposable, convenient, clinically proven Theravent Patches may be your dream come true! Theravent is available WITHOUT a prescription, but it uses the same patented MicroValve Technology as Provent Therapy, a prescription product for the treatment of obstructive sleep apnea. Theravent targets and treats snoring at the source so that you, and your bed partner get an uninterrupted, quiet, restful night's sleep. Theravent is designed to treat a wide range of snoring levels from light to moderate to heavy. It's easy to choose the Theravent that's right for you! Theravent LITE has half the resistance of Theravent REGULAR. It is ideal for light snorers or people who are just starting out with snore therapy. Theravent REGULAR is the standard resistance version of Theravent. 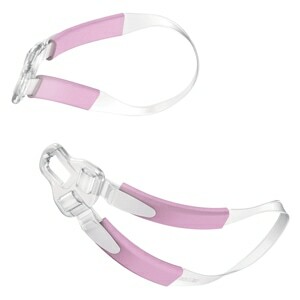 It is designed for moderate snorers and is the most common version used. Theravent MAX has double the resistance of Theravent REGULAR. If you're a loud or heavy snorer then Theravent MAX is just for you! Unlike other snoring solutions, Theravent uses the power of your own breathing to create Expiratory Positive Airway Pressure (EPAP) to target and treat snoring. Until recently, this breakthrough technology was available only by prescription. 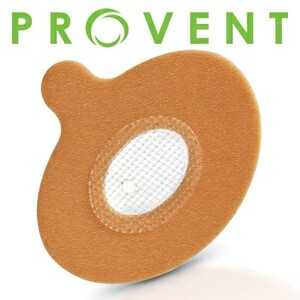 Theravent's MicroValves are set in a padded adhesive strip that you place over your nostrils right before sleep. As you inhale the MicroValves open, allowing you to breathe in normally; then, as you breathe out, the MicroValves close creating a gentle pressure that opens your airway and relieves snoring. In clinical studies, up to 89% of bed partners reported that Theravent quieted their partners snoring. Theravent Advanced Nightly Snore Therapy is FDA approved to reduce or stop snoring. Just apply the device before bed and enjoy a quieter nights sleep without mouthpieces, nasal strips, machines, sprays, and drugs. 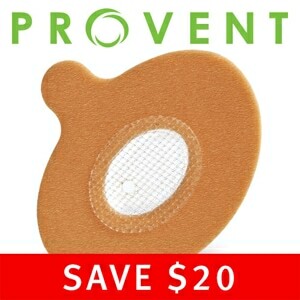 Theravent patches are soft and comfortable. Just apply the comfort-padded strips onto your nostril before bed and drift into a quieter nights sleep. With Theravent in place you'll breathe in normally and then feel a gentle resistance as you breathe out. This resistance is Theravent beginning to work; and youll hardly notice it's there after a few nights! Invented by a Stanford University professor of medicine, Theravent Advanced Nightly Snore Therapys impact on snoring and on bed partners sleep has been rigorously tested in clinical studies. Results were presented at the Associated Professional Sleep Societies conference, the prestigious medical conference sponsored by the American Academy of Sleep Medicine, and published in Sleep Diagnosis and Therapy. These studies proved that Theravent was effective in reducing snoring. 3 out of 4 bed partners in the studies also reported that they got a better nights sleep when their partner used Theravent. 83% of bed partners said their partners snored less with Theravent. With Theravent REGULAR 79% of bed partners said that Theravent Advanced Nightly Snore Therapy delivered a quieter nights sleep; and with Theravent MAX an astonishing 89% of bed partners reported a quieter night's sleep! Is Theravent effective for snoring associated with OSA? Theravent is not intended to treat sleep apnea. Please see your doctor if you think you may have sleep apnea. If you have OSA consider Provent Sleep Apnea Therapy, which uses the same MicroValve Technology as Theravent and is indicated to treat obstructive sleep apnea. How is Theravent different from nasal strips like Breathe Right? 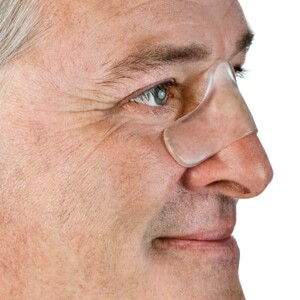 Nasal strips are placed on top of your nose and help dilate your nostrils, reducing congestion. Theravent uses the power of your own breathing to create pressure that opens and supports your nasal airways. How is Theravent different from Provent? Theravent and Provent devices both use patented EPAP (Expiratory Positive Airway Pressure) technology; however overall design and resistance levels of each product are different. Theravent patches fit over the base of the nose, covering both nostrils during sleep, and their relatively wide MicroValve mesh is designed to help eliminate snoring. Provent patches are smaller, with one patch for each nostril, and have a tighter MicroValve mesh that provides the greater resistance required to treat Obstructive Sleep Apnea. How does the resistance level of Theravent compare to Provent? Can I use a Theravent device for more than one night? No, each Theravent is a single-use device. Why does it feel strange to breathe out? It seems like I cant get all the air out of my lungs. Theravent works by creating Expiratory Positive Airway Pressure (EPAP) in your airway. This is the pressure you feel. Are there reasons not to use Theravent? PLEASE READ BEFORE USING: The safety and efficacy of Theravent has not been established for pregnant women or children under 18. PLEASE DO NOT USE THERAVENT IF YOU HAVE ANY OF THE FOLLOWING: A cold, sinus, or ear infection, or perforated eardrum; severe breathing problems (including asthma or emphysema); severe heart problems; or very low blood pressure. STOP USING THERAVENT AND CONTACT A DOCTOR IF YOU EXPERIENCE ANY OF THE FOLLOWING: Experience an allergic reaction to the device; are unable to breathe through your mouth; develop a nasal, sinus, or ear infection or discomfort; develop a severe nose bleed; or develop skin or mucosal irritation, rash, sores, or other discomfort. Join Our Newsletter! Get the Latest Product News & Exclusive Offers. All DirectHomeMedical offers online support through our website, live chat and toll free support during normal business hours, and email support 24-hours a day. Please contact us if you have any questions about our services or the products we sell. DirectHomeMedical.com is authorized and approved, by the manufacturers we represent, to sell and ship products to end-users residing in the United States, not to other third parties or businesses. A prescription is required for the purchase of certain products on this site. All products offered are sourced directly from the original equipment manufacturers or their representatives. PROPOSITION 65 WARNING: Some products on this site may contain a chemical known to the State of California to cause cancer, birth defects or other reproductive harm. COPYRIGHTS: Selected product images and descriptions used throughout this site are used with the permission of the copyright holders. All ResMed Product Images © ResMed. All Philips Respironics Product Images © Philips Respironics. All Fisher & Paykel Healthcare Product Images © Fisher & Paykel Healthcare. Site Design & Content Copyright © 2004-2018 DirectHomeMedical. Respironics recommends that new patients purchase their devices, masks and initial accessories from a homecare company that can provide an individualized patient equipment set-up, clinical and after-sale support, and a program to assist patients with therapy success. All products and services advertised on this site are provided by DirectHomeMedical.com or its designates. DirectHomeMedical occasionally offers discounts via coupon code. Coupon codes cannot be combined and there is a limit of one coupon per order. DISCLAIMER: Information on this website is informational only and should not replace the advice of a physician.